Gatineau, QC – The Government of Canada is proud to have supported our athletes as they prepared for a Canada 150 summer schedule filled with events across the country. Every week brought a new sporting competition where Canadian athletes faced their opponents and challenged themselves to excel and reach for the podium. Through our funding programs, we ensured that they had the training, equipment and coaching needed to reach success. Today, the Honourable Kent Hehr, Minister of Sport and Persons with Disabilities, highlighted Sport Canada’s investments in the Canadian sports system over the summer, emphasizing that sport has the power to improve lives and strengthen communities. Sport Canada contributed over $34 million this summer in enhanced excellence funding to 22 targeted Olympic and Paralympic summer sports. Each year, about $64 million is provided through Sport Canada as enhanced excellence funding for targeted Summer and Winter Olympic and Paralympic sports and athletes with podium potential. Canadians hosted a number of international single sport events right in their backyards this summer from coast to coast to coast. Most of these events received support from Sport Canada through the Hosting Program, which helps communities host world-class international sport events. For example, the Men’s U23 World Wheelchair Basketball Championship in Toronto, the Tour de Beauce (Cycling) near Québec City, the 2017 World Triathlon Series in Edmonton, the CP Women’s Open Golf Championship in Ottawa and the Aileen Meagher International Track Classic in Halifax all received support from Sport Canada. That means athletes aspiring to be the best had the opportunity to compete against Olympians and Paralympians from around the world, while the events themselves delivered economic, social and cultural benefits to our communities. From April to August, Sport Canada contributed over $2.8 million to 38 international sport events in Canada through the Hosting Program. Multisport events in Toronto and Winnipeg inspired the country this summer while providing young athletes with important competition experience. The Toronto 2017 North American Indigenous Games (NAIG) took over legacy sport venues built for the Toronto 2015 Pan and Parapan American Games in Canada’s largest metropolitan region—a hub of world-class venues, passionate sport organizations and rich cultural diversity—to provide Indigenous athletes with an unforgettable experience. Sport Canada provided $3.5 million to the Toronto 2017 NAIG and also provided up to $1 million to cover team travel costs to ensure athletes from across Canada were among the 5,000 participants. The Canada 150 Fund also supported the event, providing a contribution to the Games’ Birch Bark Art and Canoe Project. The 2017 Canada Summer Games in Winnipeg received $10.35 million from Sport Canada to improve recreational infrastructure, provide future Olympians and Paralympians with important competition experience, and showcase our commitment to support our athletes from playground to podium. In addition, the Canada Games Council received over $6 million in funding from Sport Canada for team transportation costs so that our best athletes and coaches could take part. The Canada 150 Fund also supported the 2017 Canada Summer Games through a $1.5 million contribution for the opening and closing ceremonies. Sport Canada also made an important funding announcement this summer for Canada’s next generation of high-performance athletes. 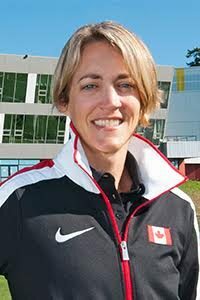 Working with the Canadian Olympic Committee (COC), the Canadian Paralympic Committee (CPC) and their respective foundations, a total of up to $10 million in ongoing, annual funding—$5 million from the Government of Canada, $4 million from the COC and $1 million from the CPC—will help develop the next cohort of Canada’s Olympic and Paralympic medallists. Sport Canada is the single largest investor in Canada’s sport system, providing approximately $200 million annually to promote sport participation among all Canadians and provide support for athletes, their national and multisport organizations, the sport centres and institutes that train them and the hosting of events so that they can compete with the best. Of course, the achievements and accomplishments of this summer would not have happened were it not for Canada’s top-notch sport system and the knowledge and dedication of our incredible partners. Enhanced excellence: Close to $70 million is invested annually from government and non-government sources in winter and summer Olympic and Paralympic sports. Hosting the world: Every year, the Government of Canada invests approximately $12 million in international single sport events to provide important international experience to our athletes while showcasing Canada as a leader in the hosting of sport competitions. National pride: The Government of Canada’s Budget 2017 has committed to providing commitment to provide $18.9 million over five years, and ongoing funding of $5.5 million every four years thereafter, to support Indigenous youth through sport.